Imagine a picnic on a secluded beach, an evening stroll under the stars, and a horseback ride through the clear, turquoise water. Now imagine you’re doing this with your new partner in life. Mauritius is an idyllic honeymoon destination that oozes with romance. It’s a fantasy world where you can celebrate those first days after you pledge your love to each other, before you walk back into your daily routine as husband and wife. Some hotels, like the Oberoi Mauritius, cater to couples and make the perfect honeymoon accommodations. The romantic rooms feature four-poster beds, thatched roofs, and panoramic views of the ocean. Some even have their own private swimming pools and gardens for romantic midnight escapades. At Ocean Villas, footpaths that hide between the fragrant frangipane flowers take you straight from your room to the private, secluded beach. Comfortable beach chairs with mattresses lounge under thatched huts to protect you from the sun and let you blissfully enjoy each other’s company. The honeymooner’s villa at this resort is called the Nid d’Amour—the Love Nest. You’ll have an unobstructed view of the sea, and you never have to be disturbed. The heady, breathless feeling you had while saying your vows doesn’t go away when you step onto Mauritius. The best way to see the spectacular beauty of the island is up close. Hold hands with your sweetheart as you ride along a cliff top high above the ocean. Disappear in a hidden trail beyond a lush, green field of sugarcane. Saunter along the beach and splash in the lagoon as you gently explore this luxurious island. Many hotels offer complimentary kayak rentals. You and your new spouse can explore the lagoons by paddling along the coast. This is perhaps the best way to find secret coves where you can lay on a blanket in cozy seclusion. 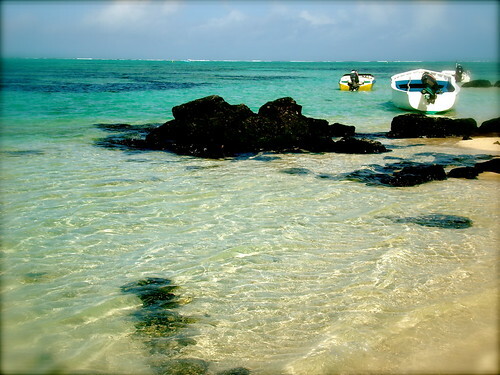 Mauritius is flanked by several smaller, more secluded islands, which can be accessed by boat. On Rodrigues Island, couples can enjoy beaches in private coves surrounded by rocky cliffs. Many of these beaches can only be accessed by foot, so they tend to be deserted—a perfect place to listen to the gentle waves licking the white sand. The Ile des Deux Cocos is the quintessential island paradise. You can book a villa for an overnight stay or just take a day trip. Pack a bottle of wine and a few beach blankets, and finding a private spot is simple. Enjoy a picnic on the beach or hike through deserted sugarcane plantations. It may be the most romantic place on Earth. 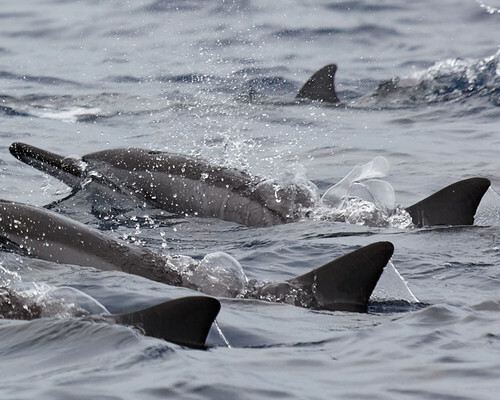 Speedboat cruises can take you and your new love out in the open sea to swim with dolphins in their natural habitat. You’ll get to explore the crystal clear waters with snorkelling equipment and come face to face with dolphins frolicking in the warm waters. Being a part of the delicate dance performed by these majestic creatures will remain etched on your mind forever. Swimming with dolphins is a moving experience that will take your breath away. Mauritius is an unspoiled, romantic getaway for honeymooners. On the island, you can experience a dazzling sunset that glitters where the sky meets the sea, or lose yourself in the balmy air of a private garden next to your luxury villa. The lapping sounds of the lagoons combines with the song of the birds and the fragrance of tropical flora to tantalize all of your senses. Whether you fill your days with activity or simply languish beside each other in the sultry air, you’ll make it a honeymoon to remember. 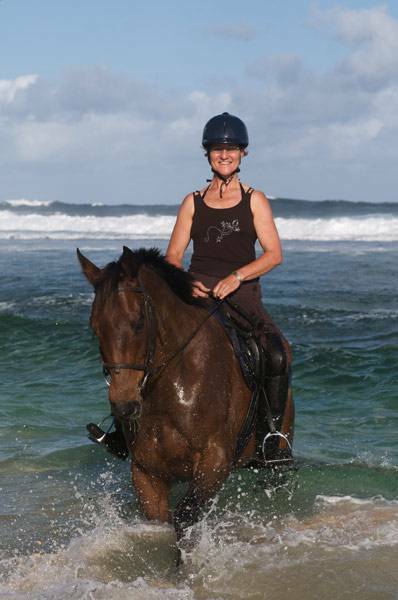 Sonya Neal the author of the “Mauritius Island – The Perfect Honeymoon Destination” suggests a Mauritius honeymoons as one of the most special places to get away from it all. Savour the local spiced rum, enjoy the beautiful sunsets, and long romantic walks on the beach to understand why.